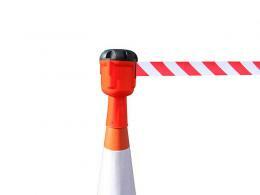 Traffic barriers are not new additions to many companies' traffic management plans. 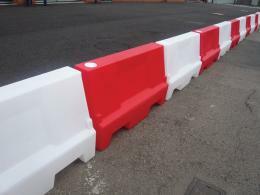 In many cases the inclusion of traffic barriers means that a company can be flexible in its traffic flow solutions while at the same time not having to worry about enforcing permanent fixtures on their compound. Standard traffic control methods using temporary fixtures are just as useful as permanent fixtures and can be utilized in a variety of circumstances to great effect. Temporary management solutions can be a very cost-effective way to deal with the problem of traffic in a confined area or when a job site spills onto the public roadway. Most companies that have to work near to public thoroughfares achieve great success in employing the standard road cone as a means of warning drivers about their work locations. 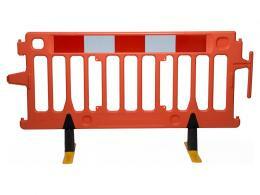 They do not provide a substantial barrier system however and sometimes something with more presence is required. 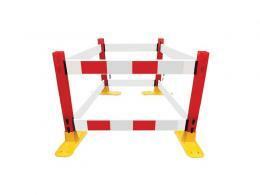 In many modern projects, workers utilize delineator barriers or barrier planks to provide a more visible and substantial indicator hat works are being done. In some cases, there is the need to physically separate one lane from others to enable work to be done on it. This can easily be achieved by employing a combination of the barrier plank systems and the water or sand-filled barrier. 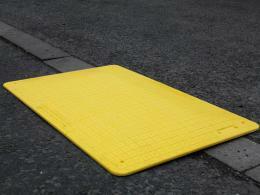 These are not easily moved and provide a substantial barrier to oncoming traffic. Temporary road signs can also be employed to encourage motorists to exercise caution. It's impossible to determine whether a job will spill over onto a public roadway or not. Once works impact on a public thoroughfare, the working area needs to be properly delineated and precautions taken to make it easier to drive around. If your company deals with works that may impact on public roadways, having these traffic management solutions are essential. 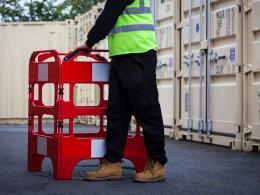 Check out the Workplace Depot's website today for more info or give our registered hotline a call (0800 0126777).